genuineHI is a small promotions company based in Seattle and Honolulu focused on promoting art, music and fashion. genuineHI is back with a series of events called FUTURE PARADISE. Based off The Next Movement, our monthly at Next Door during ‘07-’08, this series of shows will incorporate art, music and fashion while challenging attendees to envision the future of Hawaii – from what people will be wearing, to the art they’ll be creating, to the music they’ll be listening to. Let’s create the future – why wait for it to arrive? 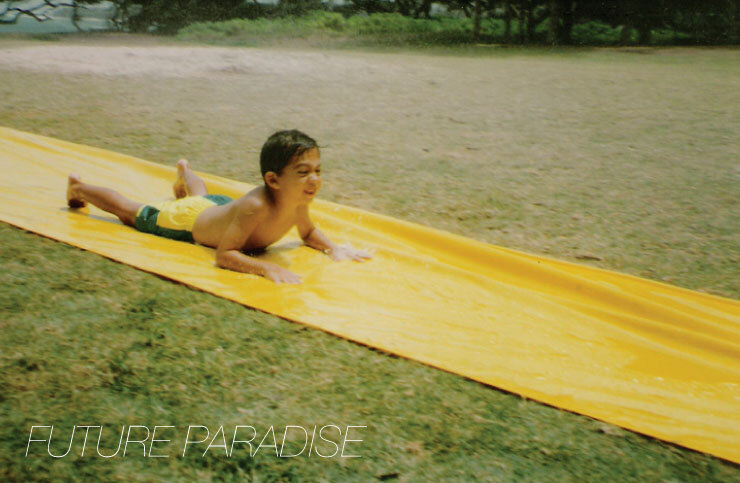 Inspiring the name of this event, “Future Paradise” is a 12″ single released by Yosaku, a dj/producer hailing from Los Angeles. The track remixes Ray Barretto’s cover of Stevie Wonder’s “Pastime Paradise”, blending soulful samples with hot Latin drums along with a bubbly bassline and quick-hitting snares, creating an infectious uptempo dance floor rhythm. Fittingly, genuineHI is flying Yosaku out to headline and kick off the first FUTURE PARADISE event with a special DJ set. Garnering praise from some of the world’s top DJs and producers including Jazzanova, Kenny Dope, Rich Medina, Bugz in the Attic, DJ Tonk and Quantic, and backed by several domestic and international record labels including Fresco (SF), Plug Label (SF), Beyondjazz (UK), Arision (UK), G.A.M.M. (Sweden), BSTRD Boots (NY), and Milk Dipper (Japan), Yosaku cultivates a truly global sound by combining Brazilian, Latin, deep house, nujazz, soul and broken beat. To listen to a few of his past mixes, click here. Holding down his weekly radio show “The Jet Set” on KTUH FM and boasting residencies at several local nightspots, Nick brings a lush blend of jazz-infused house and exotic downtempo, pulling selections from the far corners of the world. Matt Bruening is one of the young up-and-coming designers rising in Honolulu, impressing with his creativity in materials, color and form. With assistance from GroundUP Agency models and hair & makeup artists, be prepared to be pleasantly surprised. 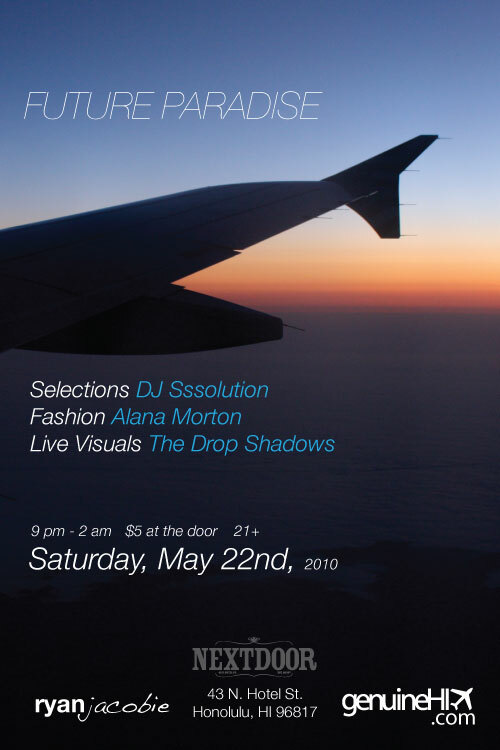 A crew of graphic designers and photographers, The Drop Shadows use motion graphics, video samples and on-the-fly composition to compliment live music, taking atmosphere and environment to the next level. Sorry, advance admission is now closed.